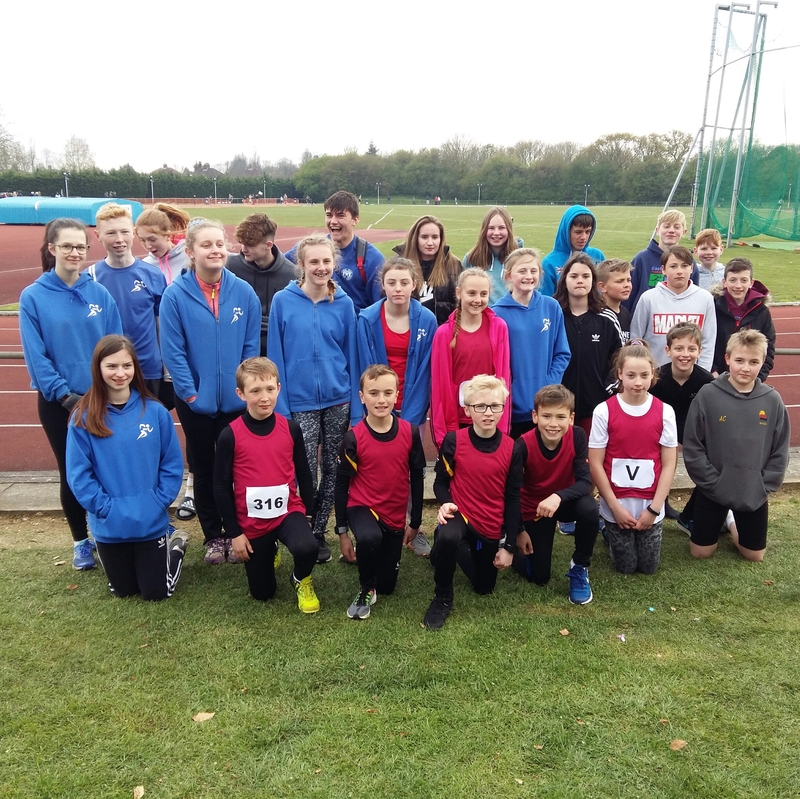 On Thursday the clubs athletes embarked on the 2019 Track and Field season at Great Yarmouth. Traditionally a very cold opener and this meeting was no different! With rarely run races for the juniors the club had 6 new club records set and one so close it deserves a mention. The club records came from James Burgess U13b breaking his own record in the 600m with a 1:48 and he set a new record 8.8 in the 60m, in the U15b Vaughan Beckham and Joel Burgess both ran the same time with 8.3 to set a new 60m record with Joel lowering his 150m time to 19.8. In the U15g Amber English picked up a good win and new record of 23.1 in the 150m and Abeni Beckham ran 22.1 to set a new 150m record for the U17w. Josh Smith narrowly missed out on the U13b Mile record running 5:55.0 missing out by just 0.06s. Many new athletes competing for the first time did very well especially in such tough conditions, so well done to all! In the Inter-Club Sportshall Tournament in Lowestoft, the host Waveney were in action against athletes from Gt Yarmouth & District AC, Beccles and Bungay Harriers, Bungay Black Dog AC and Framlingham Flyers. 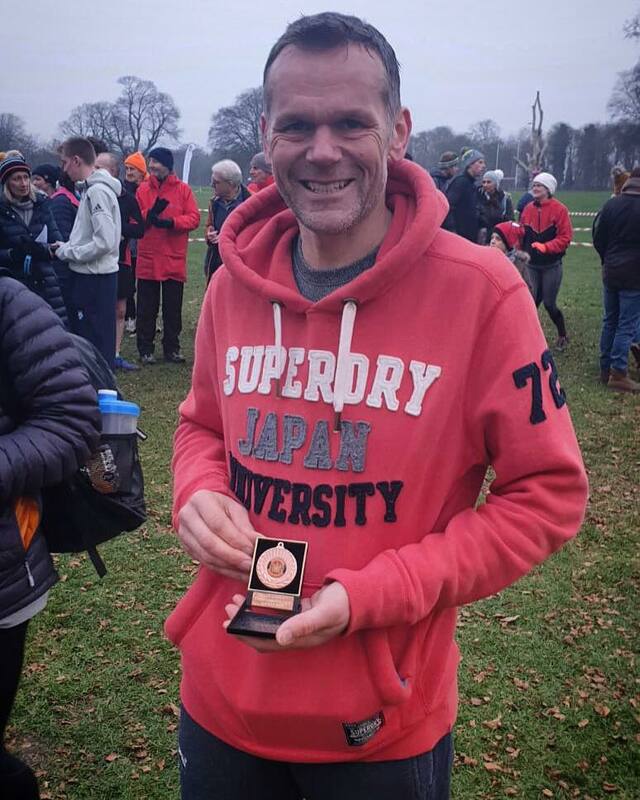 There were 90 athletes in action, with just under 40 from the host club, where all athletes contested 2 and 4 lap races, long jump, speed bounce and chest push with the medalists scored across all five events cumulatively. 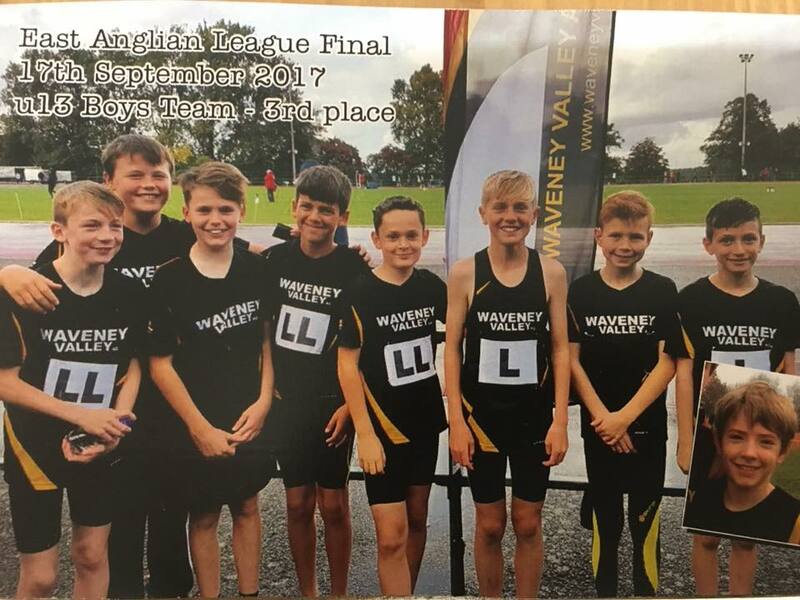 Waveney’s boys excelled with a 1-2-3 for the U11s led by Lewis Barnes, James McAllen and Ben Littlejohns taking bronze. It was the same with the U13s with William Browne taking gold, followed by James Burgess and Thomas Supple. Another gold went to Waveney U15 Vaughan Beckham, followed by Tom Spurgeon with silver. 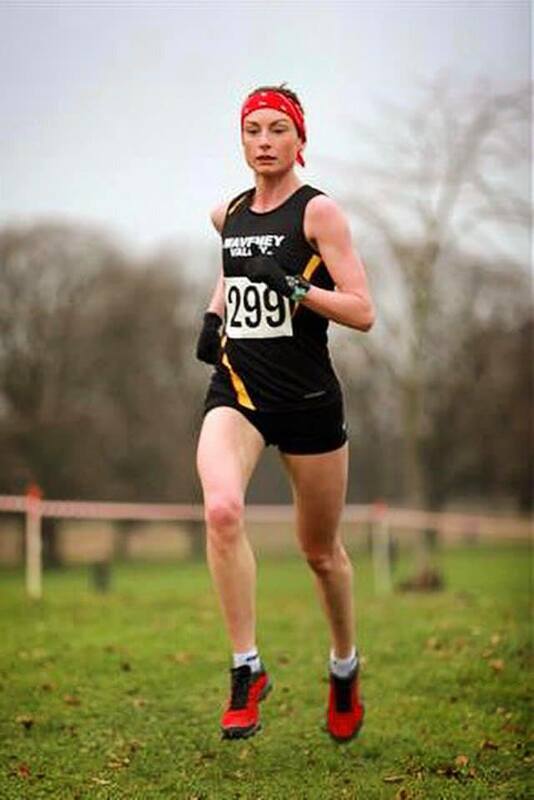 Our next Inter-Club event is Cross Country. We are in 1st place for U11 and U13 boys, and also 1st overall, but we need a full turnout with Girls and Boys to maintain our overall position. Our U11 and U13 boys are in the 1st four places individually, whilst our U15 boys are in 2nd and 3rd places. Many young athletes from Waveney Valley AC concluded the Suffolk Sportshall with the County Championships in Ipswich. 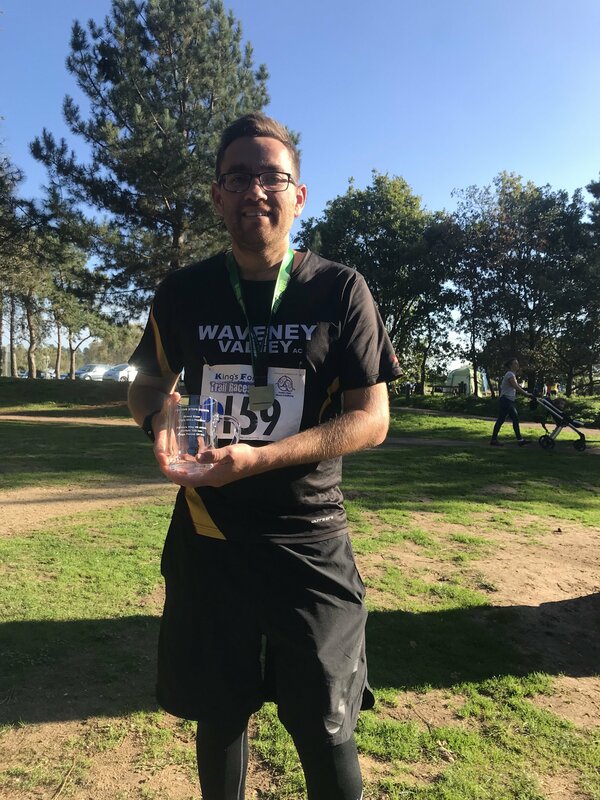 Waveney boasted a total of 12 county champions with a further 19 silver and bronze medals returning to Waveney. On the track, athletes competed over 2 and 4 laps (U11s over 1 and 2 laps), long jump, triple jump, speedbounce and shot put (chest push for U11s). 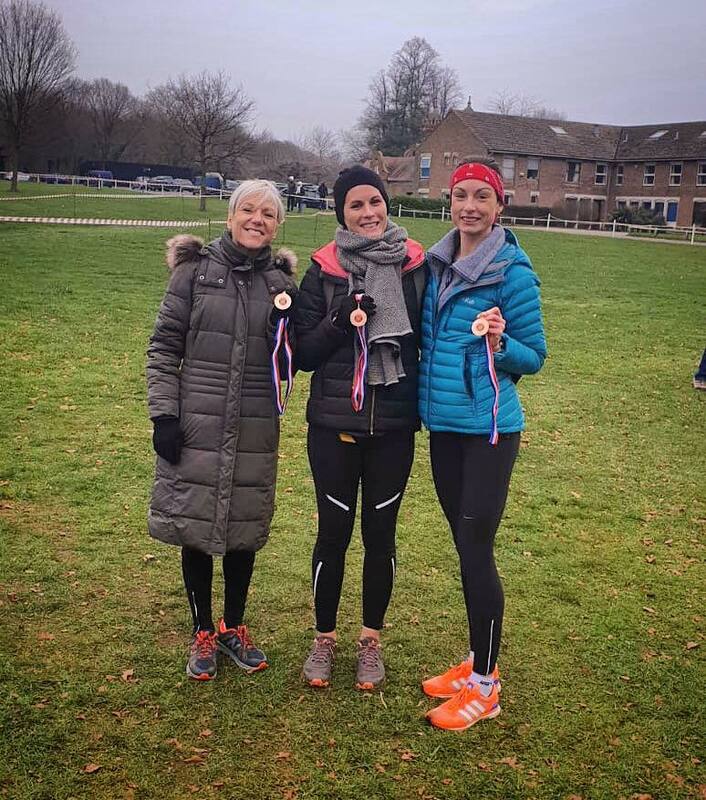 In the U15 event, Abi MacKenzie-Websdale followed up her fine league form with four gold medals and a silver, with Kiera Kane collecting two silvers. In the boys events, Vaughan Beckham collected one gold along with two silvers and two bronzes. In the U13 girls events, Agatha Gouldby was Waveney’s only medallist where she claimed bronze in the shot put with a best of 5.70m. There was more success for the boys however, led by Jude Benson-Smith claiming a hattrick of golds in the shot put, triple jump and speedbounce. Alfie Caplin also medaled in the shot put with a silver with Reuben Colbridge taking bronze in both the 2 and 4 lap races. In the keenly contested U11 events, Tia Duncan claimed four county titles in both the 1 and 2 lap races along with the triple jump and long jump. She took a further bronze medal in the chest push, with Anna Colbridge taking a silver medal back to Waveney in the triple jump. 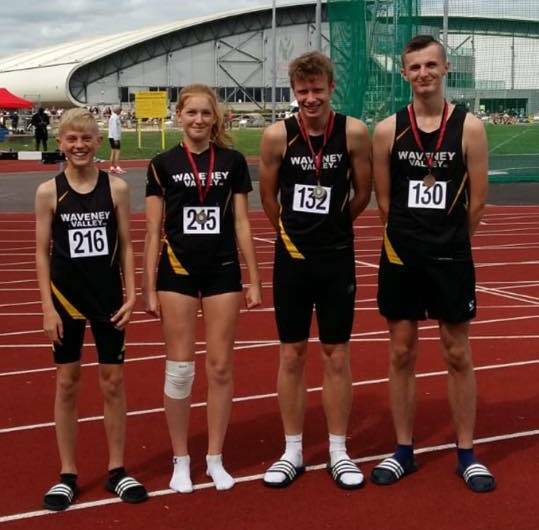 A highly competitive boys event saw no gold medals for Waveney’s boys, however Bailey English-Sutton claimed a bronze in the triple jump, likewise James McAllen in the long jump with the pair taking a silver and bronze respectively in the chest push. Lewis Barnes rounded up Waveney’s medalists with a silver in the speedbounce and a bronze in the 2 lap race. 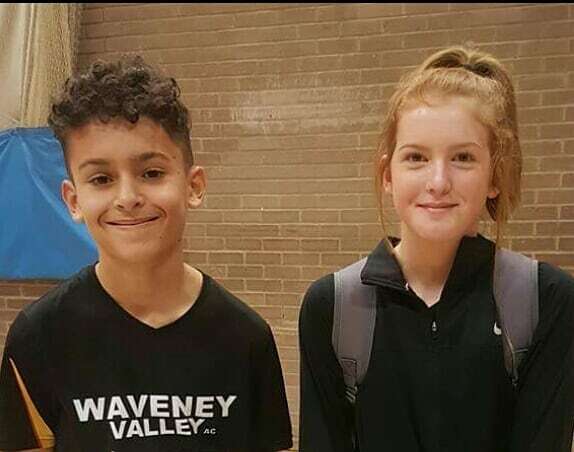 There was further good news for Waveney’s athletes with 23 call ups to represent Suffolk in the Regional Sportshall competition which takes place on 9 February at the UEA in Norwich. After an hour of fun and games on the field tonight, including Tug of War! The club celebrated the team and individual successes over the past 12 months prior to the awards. Thanks to those parents who helped officiate (we hope to have an officials course soon) and who have helped throughout the year especially running out with the Juniors. Special thanks to James Russell who has coached U11 athletes throughout the year, to Leon Field, Lewis Covill and Tom Spurgeon who have also helped during the summer – Tom and Abeni Beckham will shortly be undertaking a Leaders workshop, with Leon and James looking to undertake a Coaching Assistant course. U11 most improved: Ana Colbridge & Lewis Barnes. Well done to all our athletes who have competed for us over the year – it’s what they train for, and what as coaches we love to see in addition to their great performances is the team spirit and sportsmanship they display. On Sunday two of Waveney’s junior teams travelled to Bury St Edmunds for the East Anglian League Finals. In what proved to be a final of the highest standard our U13b and U15b had a hard day but all the athletes performed very well. 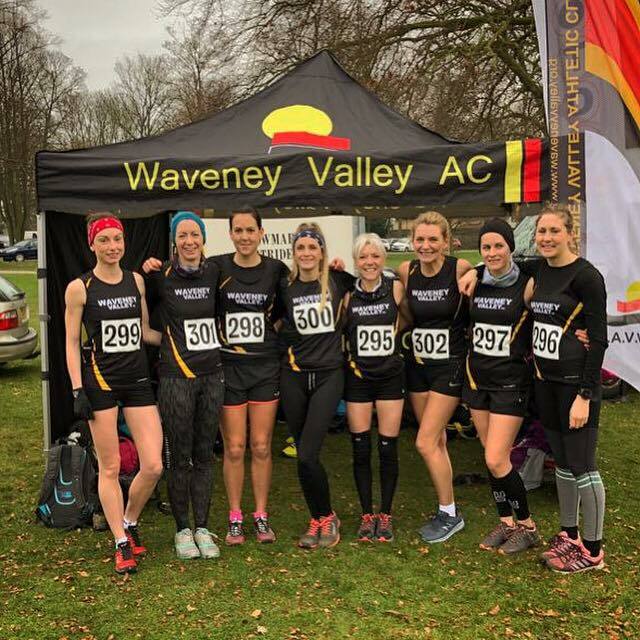 Waveney athletes have finished their outdoor season with Cross Country and Sportshall being top of the agenda as we head towards Christmas. Quick thanks to all the athletes that competed this season and to all the parents that have helped us with officiating too, it’s very much appreciated! 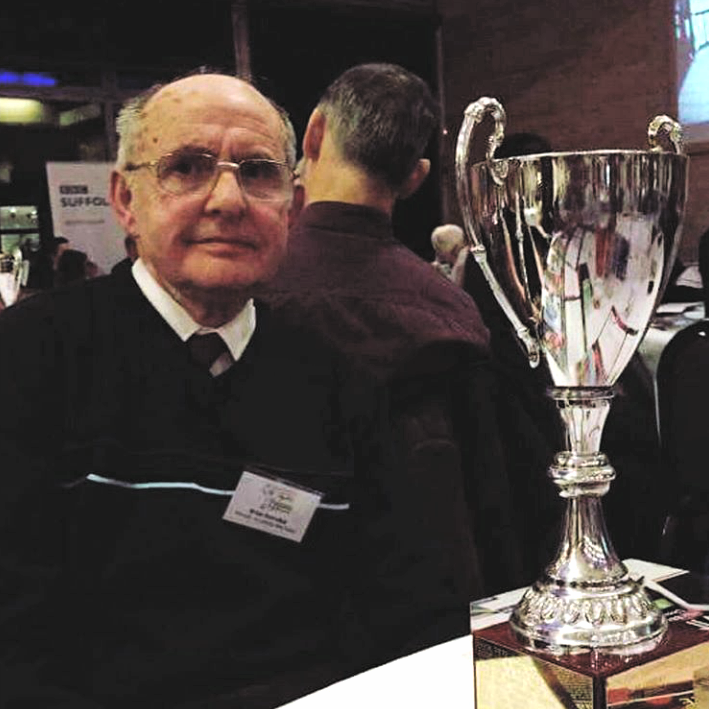 Shortlisted for Sporting Achievement of the Year! 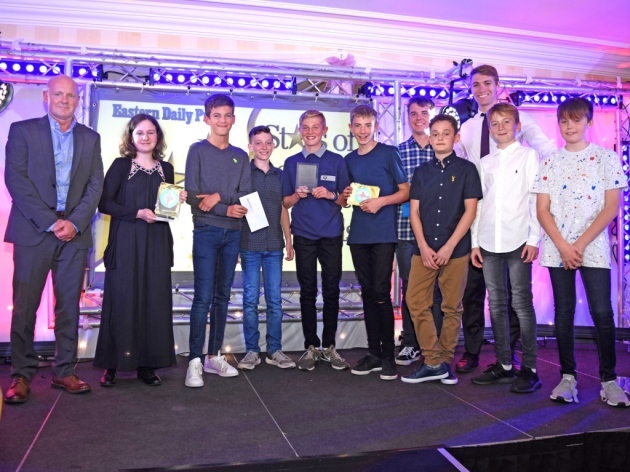 Our 2017 U13b East Anglian League team has been shortlisted in the Stars of Lowestoft and Waveney awards for Sporting Achievement of the year! Last season, our U13b in the league format split the 2 superclubs of the league with Ipswich taking the win just 23 points ahead of us and Norwich coming in 3rd. It was a magnificent achievement when you consider our relatively small catchment area and lack of facilities. With great coaching and excellent attitude the boys excelled throughout the season. Left to right- Finn Howes, Ethan Hodds, Jack Gooch, Vaughan Beckham, Ben Cone, Joel Burgess, Seth Frankland, Nathan Littlejohns and William Browne. 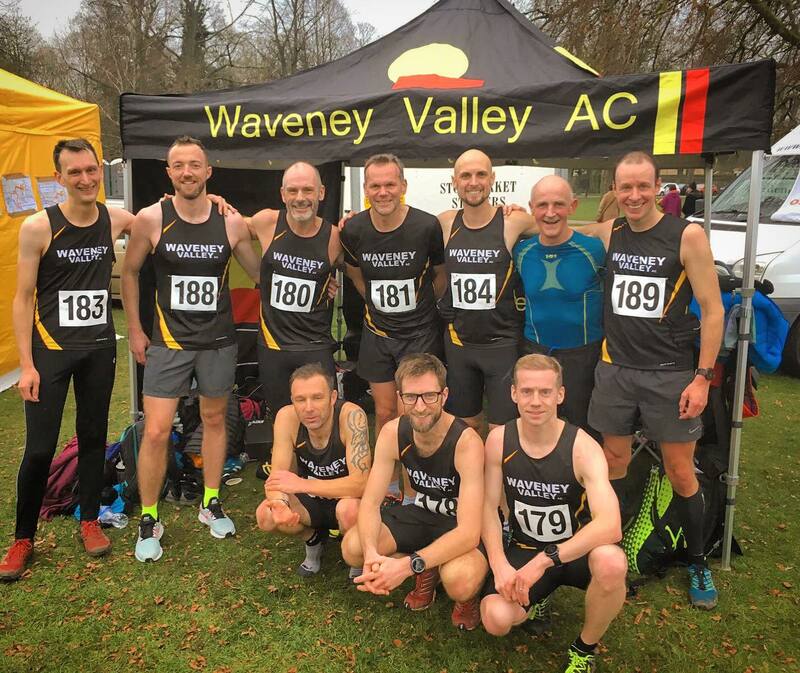 Waveney Valley A.C. members, both junior and senior, have been competing in a variety of events recently. The club had several debutants amongst its four teams that took part in the inaugural CONAC Sportshall Relays. New and regular athletes competed very well with key performances coming from the Under-11 boys ‘ Farah ‘ team of Liam Bridges, Tom Supple, Reuben Colbridge and Jude Benson-Smith as they picked up second place in the Obstacle relay final. The team were placed fourth overall. Waveney sent a strong Under-13 girls team consisting of Amber English, Kiera Kane, Gabby Wright and Isabella Christmas-Ablett. The foursome came third in the Obstacle relay, 4×1 and 4×2 finals, and Gabby and Isabella came up with the performance of the day to dominate the 8 lap Parlaaf, winning by two seconds. The girls finished third overall. Others competing were Under-11 boys team ‘ Gemili ‘. 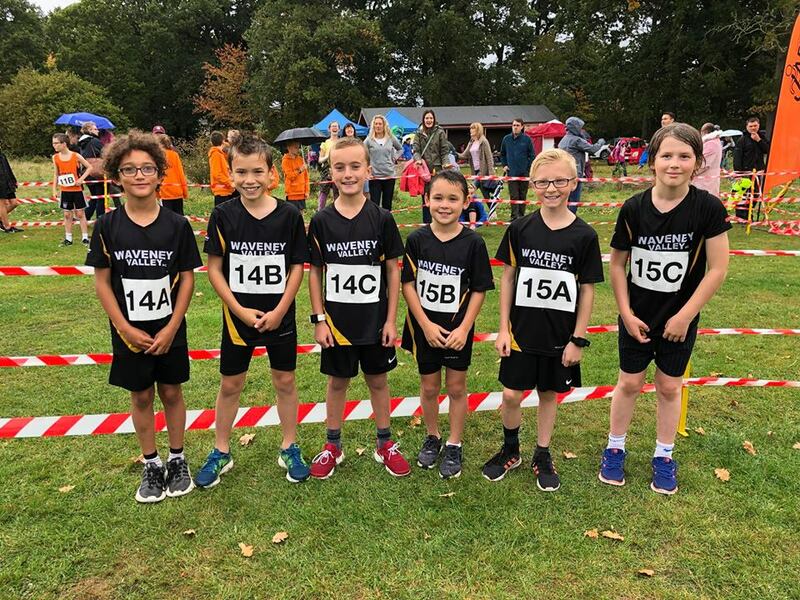 Bailey English-Sutton, Josh Brabben, James Burgess and Alfie Caplin finished fifth overall and Waveney had a very young Under-11 girls team with Ana Colbridge, Ruby and Eden Benson-Smith and Zoe Burgess also finishing in fifth overall. The Under-11 girls team also won best team name with Waveney Asher-Smiths. The club are currently accepting new members over the age of 11 who would like to compete in athletics. There is a waiting list in operation for younger athletes. Contact Michaela on 07941 423244 for more details.